If your family is like mine, you may have lots of nieces, nephews and cousins. What do you get them all for Valentines? 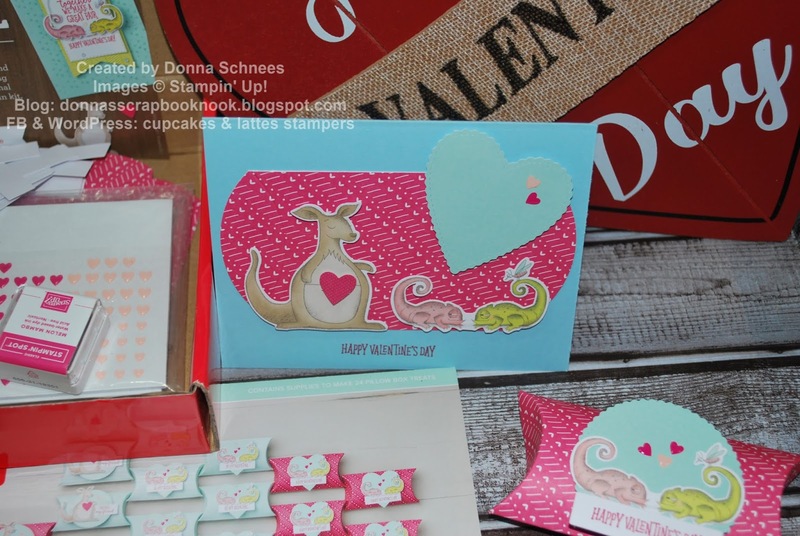 Paper Pumpkin has this cute Valentine set for those little ones. 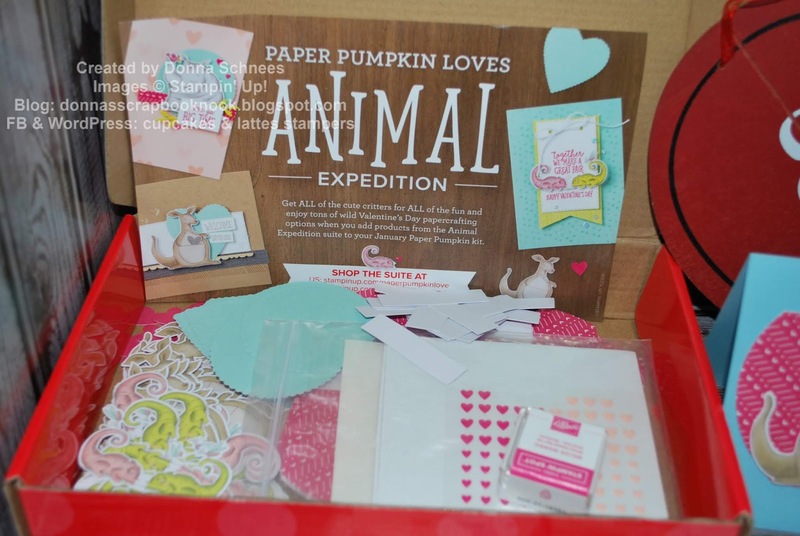 This Paper Pumpkin kit is perfect for my family because it is just enough to make for them and also enough to take the left overs to create matching cards to go along with the pillow treat boxes. 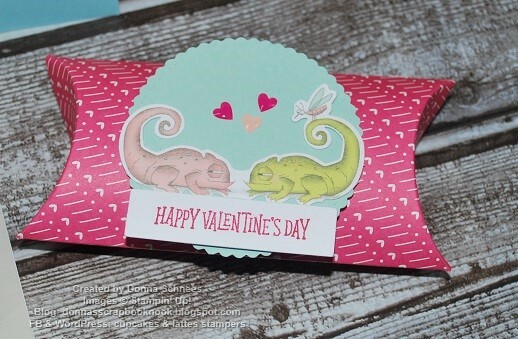 It is so simple to create a card from the leftover pieces. 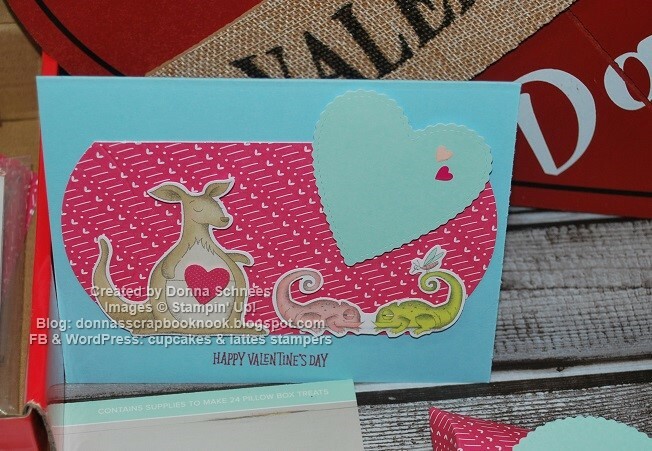 For the card I cut off the tabbed section of the pillow box and adhered to the card front along with those adorable animals. 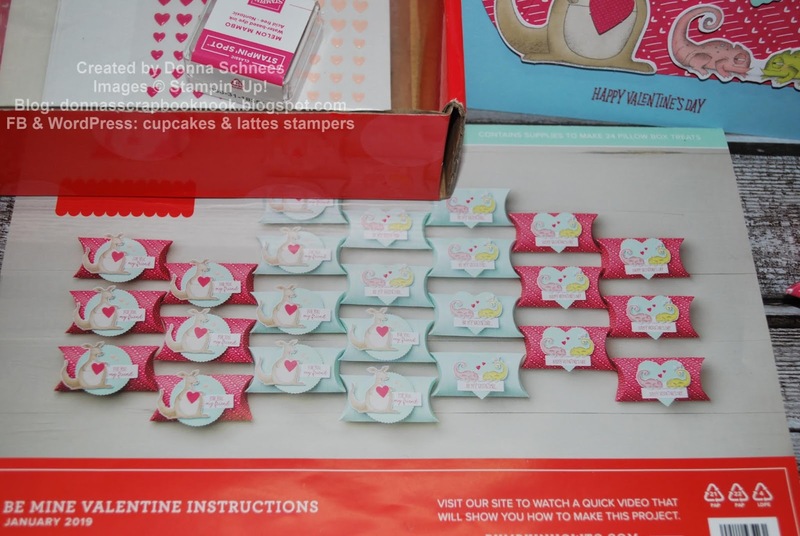 I then added the hearts that are enclosed in the kit and then stamped the sentiment on the bottom. You could leave one end of the pillow box open to insert a gift card or lollipop. I then made the pillow box and filled it with some Hershey kisses. This kit makes 24 pillow boxes and comes with everything you need. And if you do not use them all, just do like I did, make some cards or save them for next year. 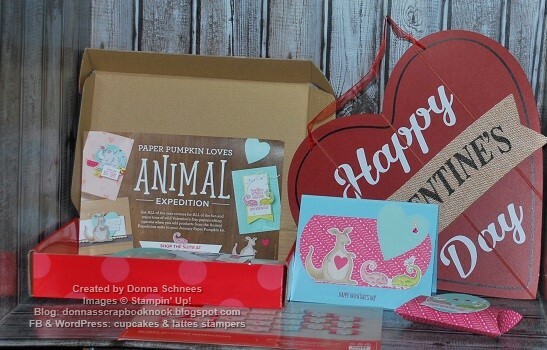 Did I tell you this kit also coordinates with the Animal Expedition stamp set? about this months upcoming kit. Previous Happy Birthday to Paper Pumpkin!